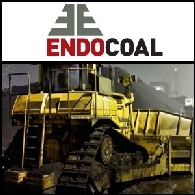 Asian Activities Report for October 31, 2011 includes: Endocoal Limited (ASX:EOC) announces a 505% increase in JORC Resource at Rockwood coal project in Queensland; Circadian Technologies Limited (ASX:CIR) has received approval from the U.S. Food and Drug Administration to initiate clinical trials of VGX-100 in the USA; Golden Gate Petroleum Ltd (ASX:GGP) says today that the SRH-A #8A well in the Permian Basin Project in the USA has reached a total depth of 9,500 feet; Cove Resources Limited (ASX:CVE) has entered into a binding agreement for the acquisition of 100% of Blenheim Resources Limited. 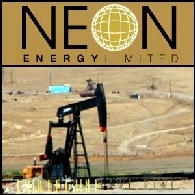 Asian Activities Report for September 30, 2011 includes: Neon Energy Limited (ASX:NEN) says today that the recently drilled Lombardi 19-27H development well in the North San Ardo oil field, onshore California, has been brought onstream; India Resources Limited (ASX:IRL) has signed a A$249M coal operations contract with Prism Cement Limited (BOM:500338) to develop and operate the first phase of Prism&apos;s Sial Ghoghri coal mine; Guildford Coal Limited (ASX:GUF) has upgraded its Exploration Targets at its Mongolian coal projects to 30Mt to 1.380Bt; Tissue Therapies Limited (ASX:TIS) will start the sales of VitroGro(R) for the treatment of chronic wounds in the UK and Europe during the second quarter of 2012; Biotron Limited (ASX:BIT) has commenced a human trial of its lead HIV drug candidate, BIT225; Circadian Technologies Limited (ASX:CIR) has submitted an investigational new drug application to the FDA to initiate clinical studies of VGX-100. Asian Activities Report for April 6, 2011 includes: Motopia Limited&apos;s (ASX:MOT) subsidiary cBox Pty Ltd has been appointed as Business Wire&apos;s Australasian media distribution partner; MACA Limited (ASX:MLD) is to provide iron ore crushing and screening services for WPG Resources Limited (ASX:WPG); Rey Resources Limited (ASX:REY) announced an upgraded thermal coal Measured Resources at Duchess Paradise Project; Circadian Technologies Limited (ASX:CIR) said that VGX-100 significantly inhibits the growth and spread of various types of human tumour.